Tumbled clear Quartz pieces, available in two sizes and two quality grades. Quartz Tumblestones, available in two sizes and quality grades. 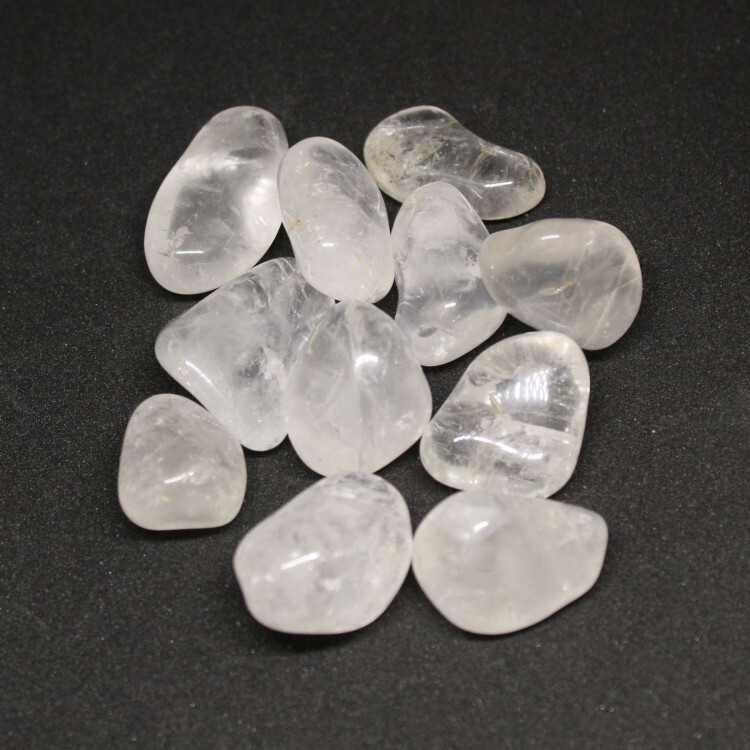 These pieces are great quality – they aren’t perfectly clear at the lower grade, but mostly are just cracked or fractured inside. These tumblestones look great in a wooden bowl or a small vase. They would also make ideal gravel for fish tanks or aquariums. 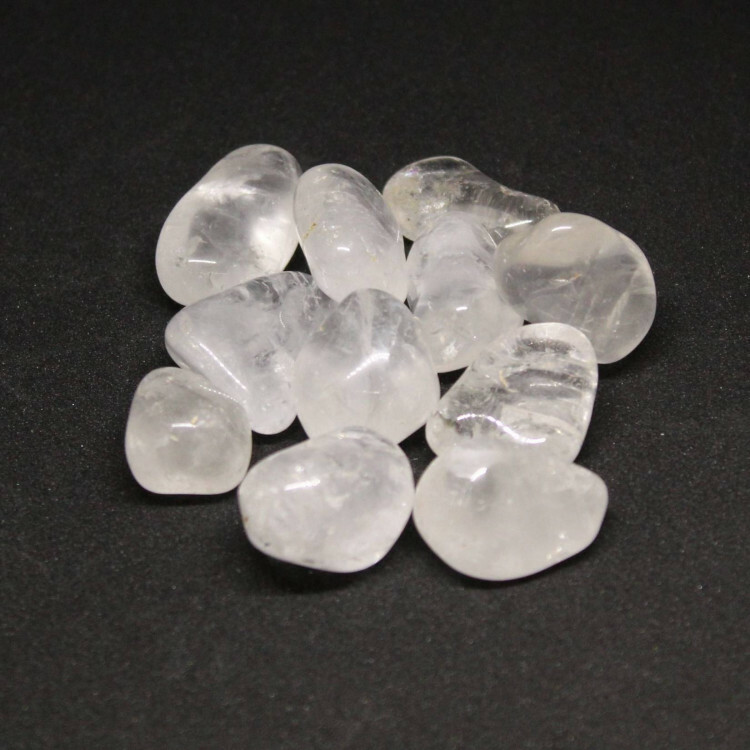 Because they are clear stones, they look great contrasting with dark and black stones. 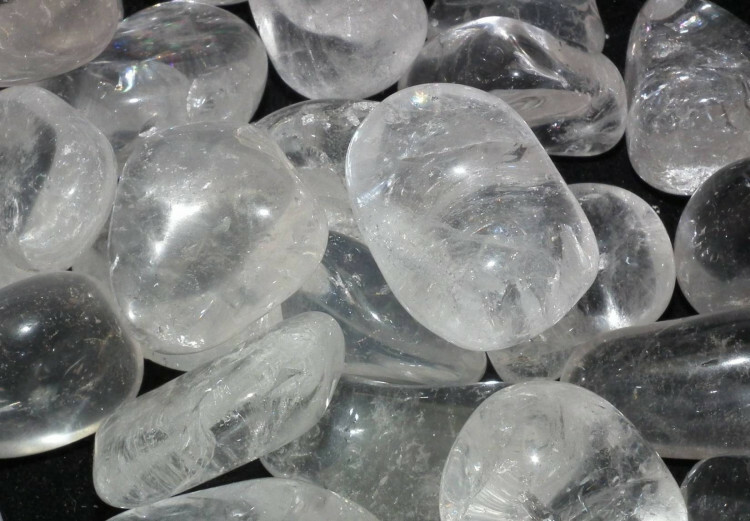 We offer a wide range of Quartz products, including tumblestones, rough stones, carvings, and more – see our main Quartz section for a list of our products, and more information about the stone in general.